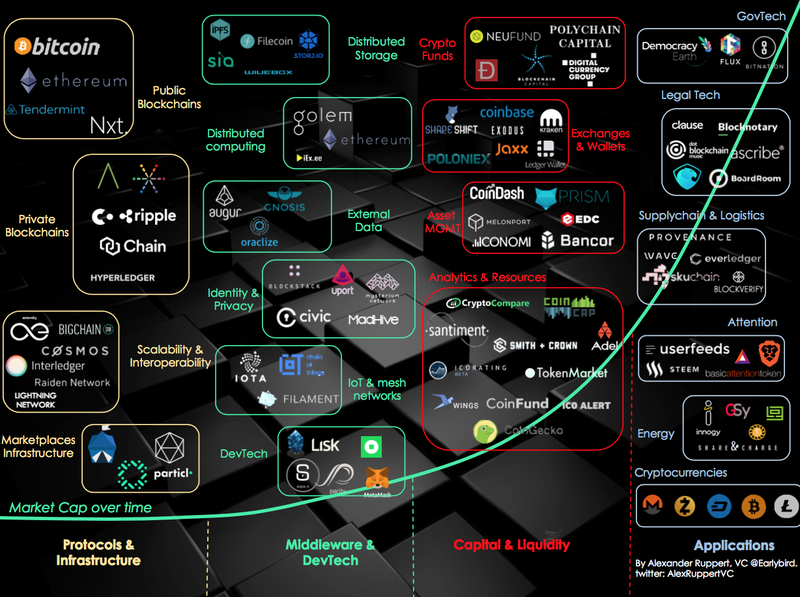 "My deep concern is that the new tech generations are having to face the age-old debate about decision-making through centralization V decentralization without necessarily understanding the stakes involved. Couple this with the fact that those stakes are rapidly changing as a result of the steady increase in global population and steady decline of the world's non-renewable resources. As we look to technology to help us deal with the world's increasing complexity and the prospects for enhancing sustainability, this technology needs to be fit for purpose -- not for the capitalist economy which is unsustainable because its source code is deeply rooted in geometric growth. In this area, I see a lot of circular reasoning through cyberationalisation which is often well-intentioned but rarely grasps the fullest meaning of the commons as a source of sustainability. This ought to be the standard that we aspire." This is a place to monitor technological developments, the P2P infrastructure, software issues, technology-enabled cooperation, etc.. Eventually, this section should exhibit the answer to the following question: what are the technical requirements for human emancipation? How to we design and implement an infrastructure that guarantees the participation of all? Above all, never forget: Technology Is Not a Force for Either Liberation or Oppression, as explained by Dale Carrico. - "If we are to preserve the democratic and creative promise of the Internet, we must continuously diagnose control points as they emerge and devise mechanisms of recreating diversity of constraint and degrees of freedom in the network to work around these forms of reconcentrated power." "The capacity to promote autonomy is a fundament characteristic of a convivial tool". - Ivan Illich, in: "Tools for Conviviality"
Hardware systems, based on physical energy exchanges. Software systems, based on information data exchanges. Human–computer interaction systems, based on personal semantic exchanges. Socio–technical systems, based on community–wide exchanges. Check out the work of Andrew Feenberg and his take on technological determinism. "1. Exceptionalist (E) vs. Ordinarist (O). Exceptionalists believe that the Internet is exceptional, extraordinary, and disruptive, the way, say, the printing press was. Ordinarists believe that the Internet is just another new medium, no more revolutionary than, say, CB radio. 2. Technodeterminist (T) vs. Contextualist (C). Technodeterminists believe that the Net by itself brings about transformations against which it is futile to struggle. Contextualists believe that technology by itself does nothing and changes nothing; other factos determine the effects of technology. 3. Optimist (H) vs. Pessimist (P). Optimists believe that the Net is, or brings about, good things. Pessimists believe otherwise. (Note: Since everyone believes their beliefs are true, everyone thinks they are a realist. When someone actively asserts s/he is a realist, s/he is actually asserting a form of counter-optimism, i.e., pessimism.) (Note: The “H” stands for Happiness or Hope." All P2P really means is person-to-person: normal folk using web tools - without the annoyance of an institution or mega-corp getting in the way. 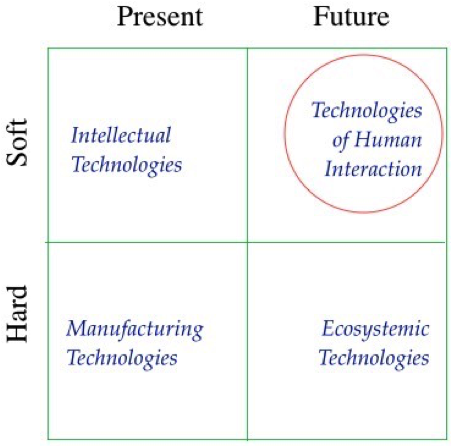 "The most profound technologies are those that disappear. They weave themselves into the fabric of everyday life until they are indistinguishable from it"
One of the key elements of p2p is the end of the distinction between infrastructure and users. Under p2p the users BECOME the infrastructure. We have community supported agriculture, and it works. Now, we need community supported technology! A truly technological machine is an open one, and the ensemble of open machines presupposes man as permanent organiser, as living interpreter of machines both in themselves and in relation to other machines. Far from being overseer of a gang of slaves, man is the permanent organiser of a society of technical objects which need him as musicians need a conductor... So man's function is to become both coordinator and permanent inventor of the machines around him. "Advocating for appropriate technology is not "anti-technology," directing our attention to politically pernicious deployments of technodevelopment exploiting the vulnerable and profiting elite-incumbents is not "anti-technology," delineating the catastrophic impacts of false models and marketing hype is not "anti-technology." As I keep on insisting, time and time again, "technology" doesn't exist at a level of generality that properly enables one to affirm a "pro-technology" or "anti-technology" stance in any kind of monolithic way. Technology is better conceived not as an idol to affirm or as an ethos with which to identify but as an interminable process of collective technodevelopmental social struggle in which a diversity of stakeholders (not all of them necessarily even human) are constantly contesting, collaborating, educating, agitating, organizing, appropriating, and coping with ongoing and proximately emerging technoscientific changes, costs, risks, and benefits." "There are tools, technologies and discourses which favour diffuse power, and tools, technologies and discourses which favour concentrated power. Today the concentrated power mechanisms have the upper hand. All it would take to turn the tide is for the diffuse power mechanisms to gain the upper hand. I’d speculate that diffuse power mechanisms may have gained the upper hand in some fields in the 1960s-70s, and only the recomposition of capitalism as neoliberalism (with new technologies and discourses) saved it at this point (e.g. states were losing guerrilla wars to popular forces across the board in this period). If diffuse power retained the upper hand then any authoritarian regime created on the backs of diffuse power would itself be vulnerable to a reactivation of diffuse power." Virtual Private Network sites are ideal to circumvent internet censorship: HotSpot Shield , AlwaysVPN (also for Linux) and Social VPN: Run the installer and they just work with one click every time you get to a blocked website. Anonymizer Sites & Services: "there are two general types: networked and single-point. There is one known networked anonymizer called EFF Tor, highly recommended"
The Big List of Social Sites includes a directory of social networking sites, social bookmarking sites, and social aggregation sitges. Directory of Open Source Alternatives to commercial software (also here). The Organizer's Tool Crib is a participatory directory of online tools and resources for social change activists. Benefits of the Second Industrial Revolution vs the Benefits of the Third Industrial Revolution; by Kevin Kelly. The Rise of the Stupid Network. David Isenberg's classic essay for locating intelligence in the periphery, not the core. End-to-End Arguments in System Design: The best way to design a network is to allow the sender and receiver to decide what the data means, without asking the intervening network to interpret the data. World of Ends: Doc Searls and David Weinberger summarize the key characteristics of the internet. How To Communicate Securely in Repressive Environments. Patrick Meier: Core to effective strategic nonviolent action is the need to remain proactive and on the offensive; the rationale being that both the resistance movement and repressive regime have an equal amount of time allocated when the show-down begins. If the movement becomes idle at any point, this may give the regime the opportunity to regain the upper hand, or vice versa. Telecommunication expert Gordon Cook asks: Is Bandwidth Infinite? Peer-to-Peer Networks as a Distribution and Publishing Model: the best introduction to the advantages of P2P Computing! This page was last modified on 9 July 2018, at 07:44. This page has been accessed 212,929 times.